What’s The Amber Trail About? After a tragic accident, Dig Buckley inherits control of the family brewing business. But when the Indian hop supplier mysteriously shuts down deliveries and threatens his family, he realises there’s a hidden and dangerous side to the brewery. He needs to track the supplier down, embarking on a challenging journey across the Indian countryside as he unravels a treacherous family history. “Very few books get a 5-star from me – actually, I don’t review very many. I definitely do when they are GREAT and I loved this. Read all night until I finished & normally it takes me a few weeks to get through a book since I only read at night. Started this one & couldn’t stop. Story, characters, twists and turns. Loved it ! !” Pam, Amazon. “Absolute awesome read, great story line, could not put the book down, massive thumbs up, looking forward to reading more M.J.Kelly books…” David Masi, Goodreads. “Genuine inventiveness of plot.” Richard, Goodreads. 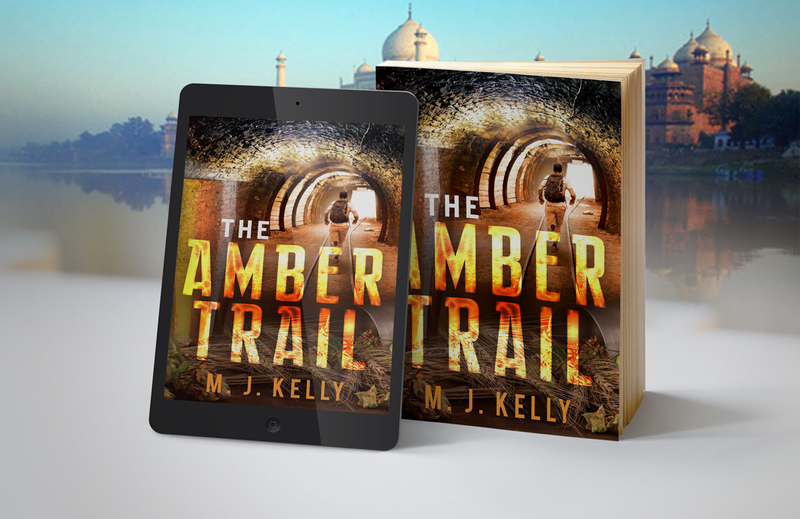 The Amber Trail is available worldwide in paperback and digital formats. Get your copy here. Or check out a sample chapter of The Amber Trail here.